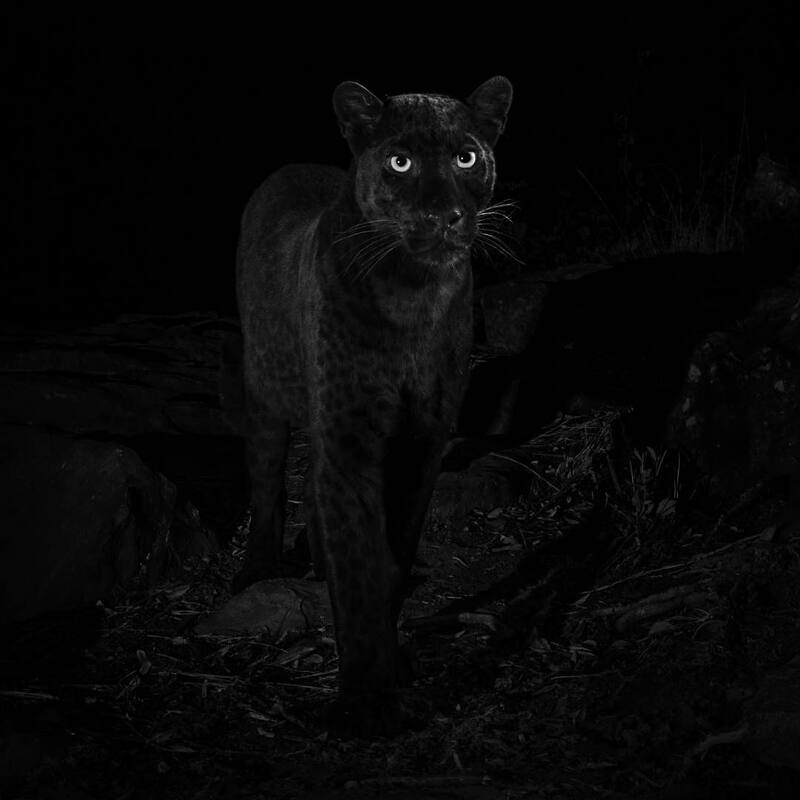 A team of biologists have released photos of a rare melanistic leopard, also called the Black Panther, which was shot in the bushlands of Loisaba Conservancy in Laikipia County in Kenya. Nick Pilfold and his team, after hearing that there’s a black wildcat lurking in the are, deployed remote cameras to capture the big cat. According to National Geographic, the juvenile female was spotted traveling with a larger, normally coloured leopard, presumed to be her mother. There is a mild controversy as to whether it’s the first time the cat is being seen since a 1909 photograph taken in Addis Ababa, Ethiopia. Kenya’s Daily Nation newspaper said a similar photograph was taken in 2013 by Phoebe Okall, but Pilfold and his team say otherwise. These new photos were captured by wildlife photographer Will Burrard Lucas. The term that makes them black is called melanism and it’s the same thing that makes a house cat black, or any other cat species. It’s kind of like albino but the other way. A black panther is basically a melanistic big cat. Typically in Africa and Asia that would mean a melanistic leopard – a black leopard. In South America it would be a melanistic jaguar – a black jaguar. Black panther is a looser term.